Pre-formulation studies like solubility, forced degradation, excipient compatibility. Bio-relevant dissolution for formulation selection. Discriminatory dissolution method development based on solubility, pKa, ionization state, and excipients. 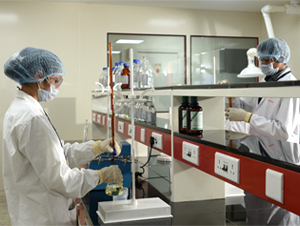 The laboratory is equipped with sophisticated equipments like HPLC, GC, GC-HS, Dissolution apparatus, FTIR etc.